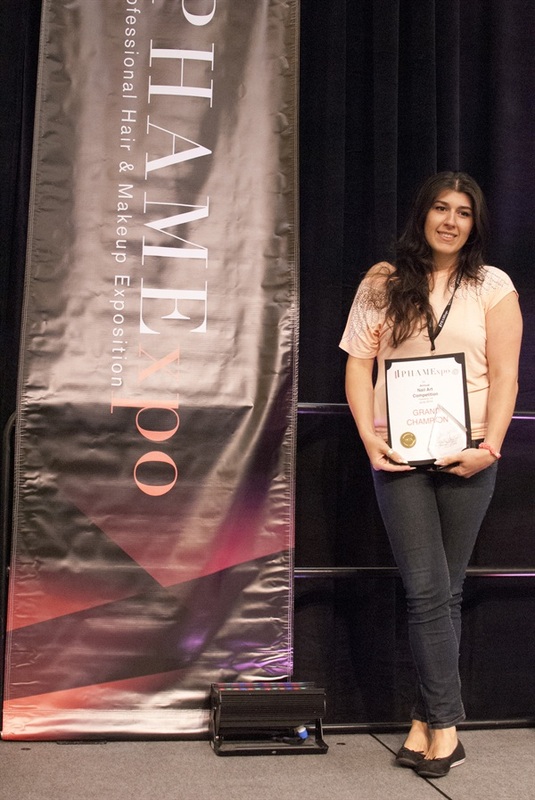 The Professional Hair and Makeup Expo came to Pasadena this past weekend, offering beauty experts the chance to shop their favorite brands, meet famous faces, and see live demos. 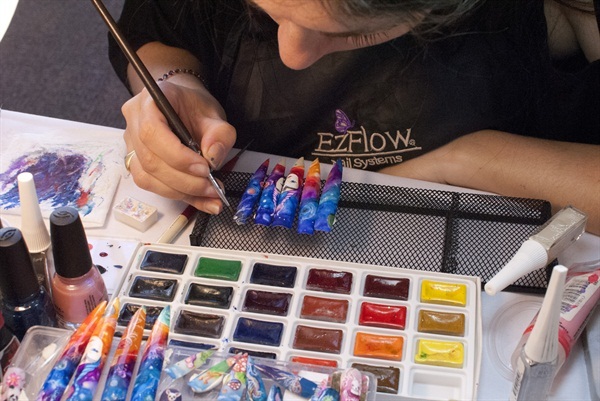 While the show floor was a bit smaller and less nail-oriented than other trade shows we attend throughout the year, this show offered a new and exciting nail competition thought up by Lysa Comfort. 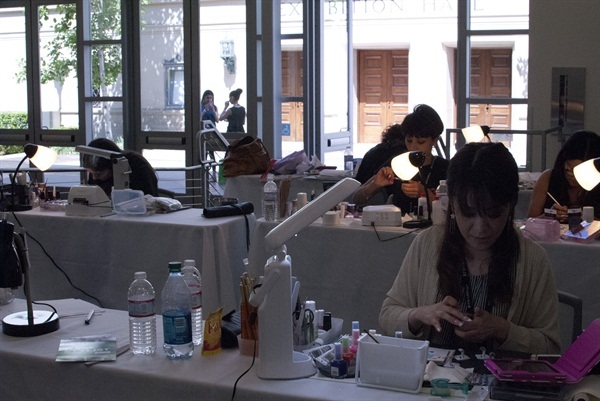 Eight nail artists from around the globe competed outside the show floor, demonstrating their skills in acrylics, gel, hand painting, and taking a “nail selfie” (doing a set of nails on their own hand and then photographing it). 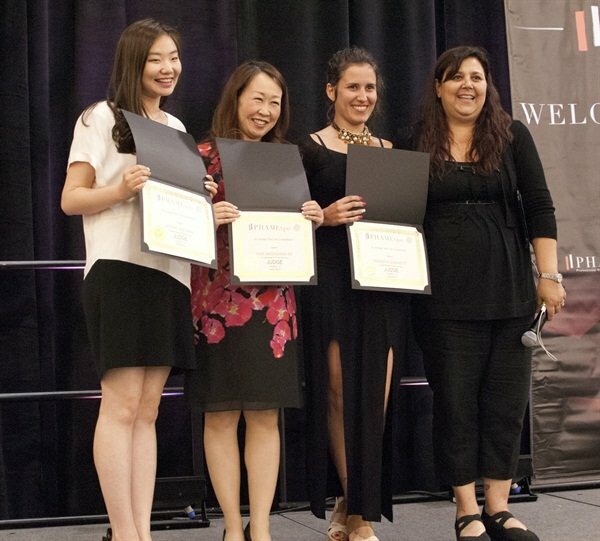 Four international judges, including Roberta Giametti (Italy), Myung Hee Park (Korea), Yumi Nagashima (Japan), and Robert Nguyen (U.S.A.) awarded points and offered encouragement to this new crop of competitors. Three awards were offered in each category, but ultimately it was Croatia’s Anela Mucic who took home the Grand Champion prize. 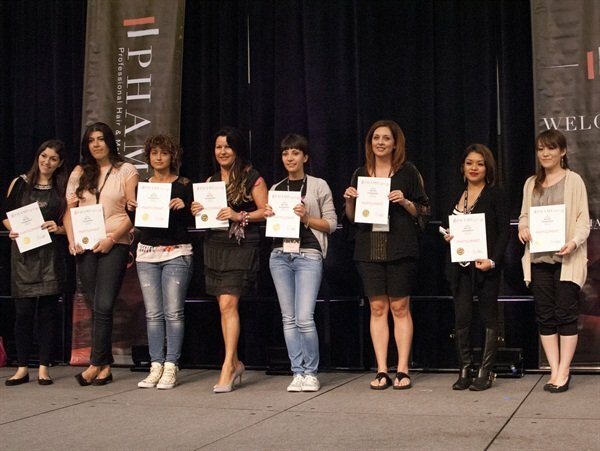 Competitors and judges were given recognition on the PHAMExpo main stage at the show’s end Sunday. NAILS Magazine would like to thank Lysa Comfort for inviting us to attend. 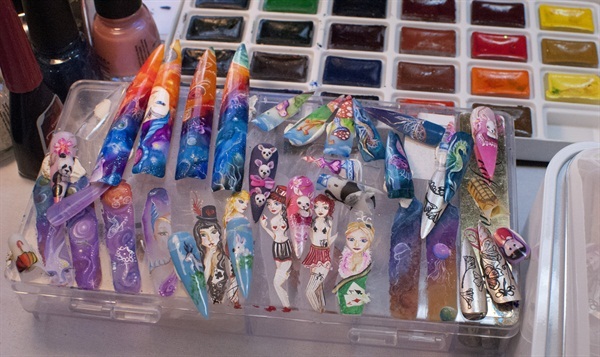 We look forward to hearing much more from these seven talented nail artists.